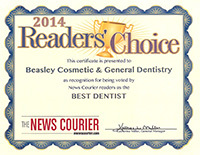 Beasley Dentistry is dedicated to uncompromising patient care. 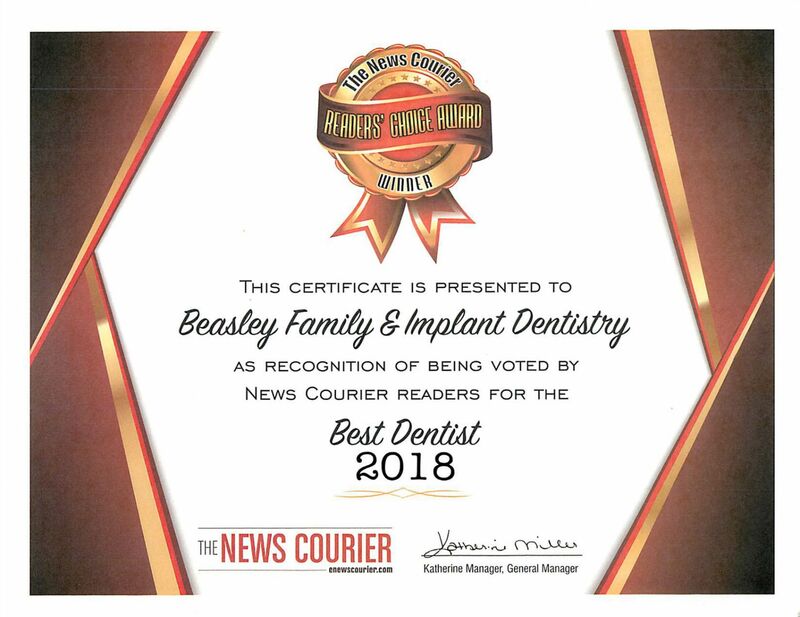 While Dr. Brad Beasley has been recognized for his award-winning cosmetic dentistry, in the North Alabama area he is also known as the dentist who provides his patients with the best and latest advances that modern dentistry has to offer including laser gum disease treatment, extractions, same day dentures, nitrous gas and oral sedation, and he even surgically places dental implants to replace missing teeth and stabilize loose dentures. This is why so many people come to our Athens office from Decatur, Madison, Huntsville and other surrounding areas in South Tennessee & North Alabama. NEW! Cosmetic case of the year 2018!! Trip came to us towards the beginning of the year 2017, with a few concerns and a picture in his head of what he wanted his lifetime smile to look like. 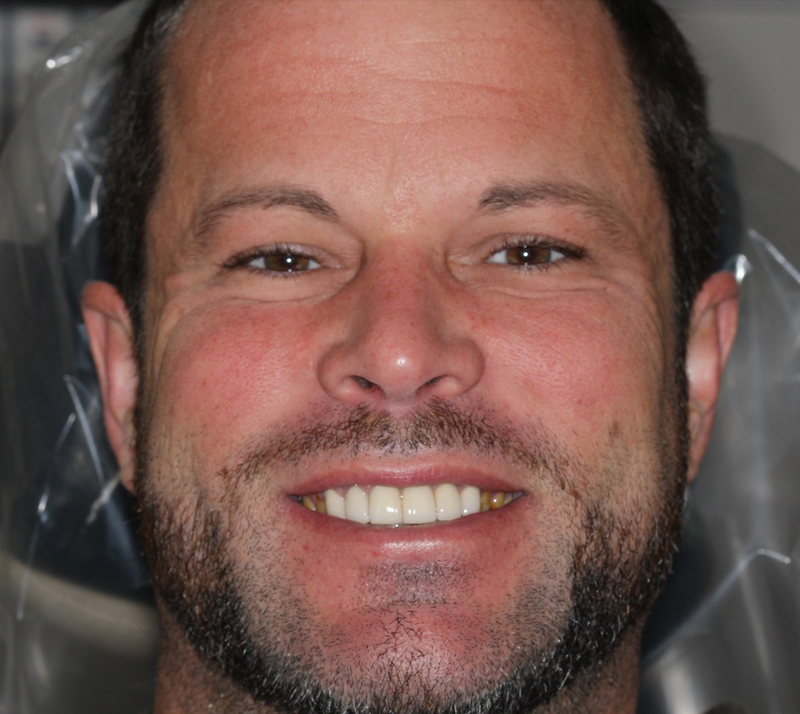 Previously, a few years ago, Trip had all six upper anterior teeth restored with porcelain crowns. As you can see in the before and after pictures, his front six teeth stood out from all of the other teeth in length, shade, and even shape. 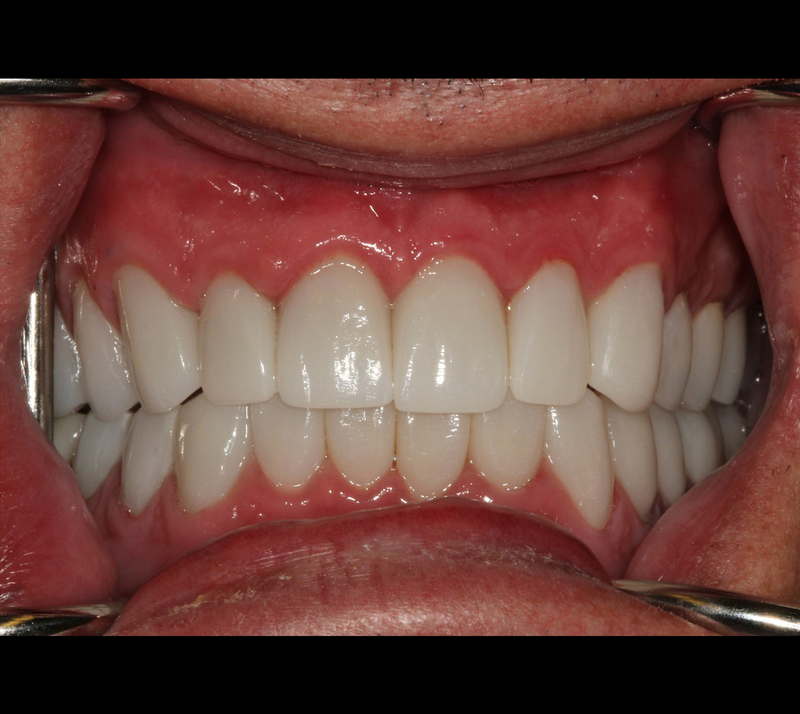 After seeing that Trip had very devastating wear on both upper and lower teeth, and a history of continuous grinding, we knew that porcelain restorations were needed. Dr. Beasley met with Trip in the hopes of finding a treatment plan that best fit his needs. Dr. Beasley had to open and level Trips bite as well as lengthen the teeth; we were even able to change the tooth shade to a color that Trip had handpicked himself. 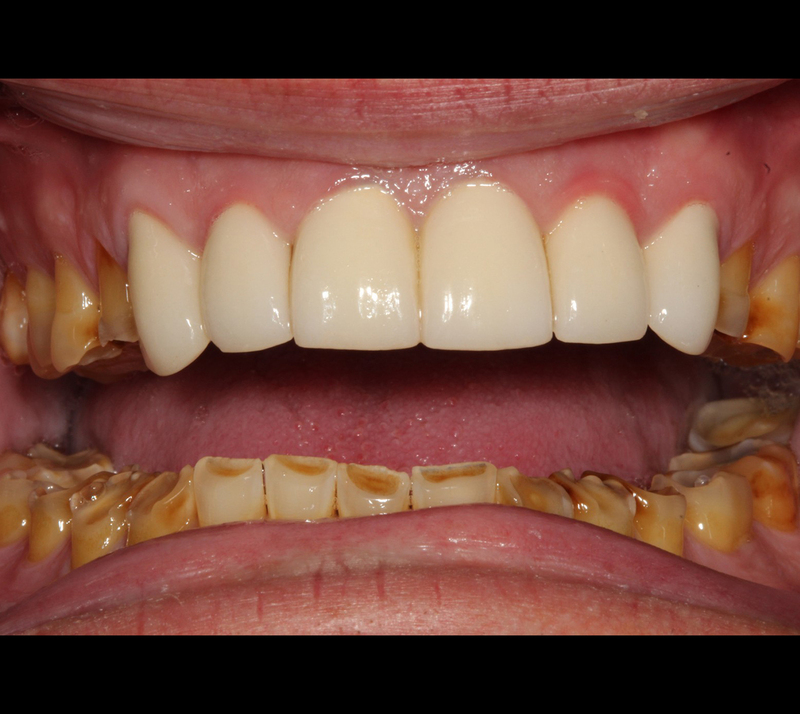 This case was completed with over full coverage porcelain crowns. Trip was comfortable and proud of his new SMILE! All procedures presented in this case were done in our office by Dr. Beasley. Cosmetic Case of the Year 2017!! 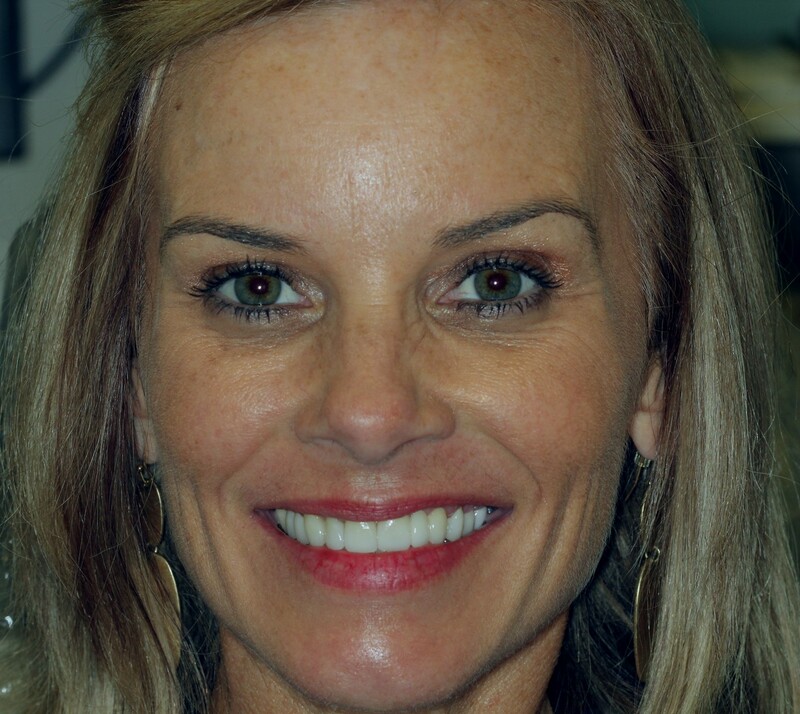 After being a patient in our practice since 2008, Wendy recently decided she was ready to improve her smile. She was congenitally missing her upper left lateral incisor and had a gummy, asymmetrical smile. She had several porcelain crowns placed over the years by other dentists at different times that did not match. At full smile, Wendy had more gum tissue display on her left side. To correct these problems Dr. Beasley performed crown lengthening surgery (a gum tissue lift) for a more balanced smile. 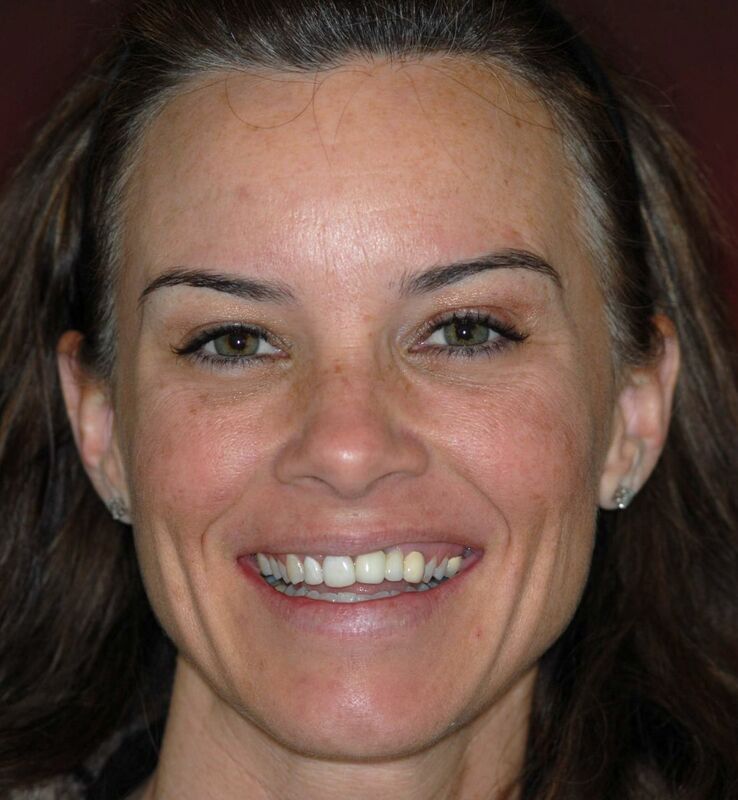 Approximately 6 weeks after the tissue lift surgery, Wendy's teeth were prepped for porcelain restorations using a combination of veneers, crowns, and a bridge to restore her smile. All procedures in this case were performed in our office by Dr. Beasley. Click Here to See Our Complete LIST OF SERVICES. Dr. Beasley surgically places dental implants by Biohorizons in his office without the need for referral. Loose DenturesA denture is a removable replacement for missing teeth and adjacent tissues. It isn't hard at all to whiten your teeth, and not very expensive. As little as $49 for Sheer Strips! We also do ZOOM whitening. 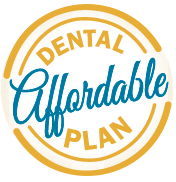 Have you been putting off dental care because of dental anxiety? Have you had previous bad experiences that make your palms sweat whenever you think about sitting in a dental chair? If so, sedation dentistry may be for you. 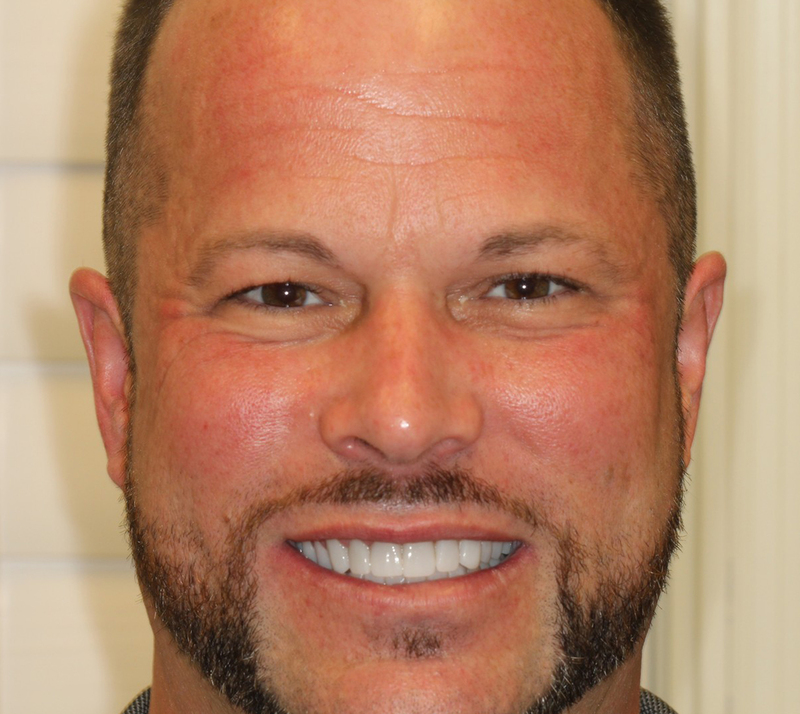 Dr. Beasley is so anxious to make your visits as comfortable as possible that he has pursued extensive additional training in conscious sedation and has become a fellow of the Dental Organization for Conscious Sedation. Click here to read more about sedation dentistry. Are you hesitant to smile? Do you have stained, crooked, or chipped teeth? If so, porcelain veneers could be your answer. Some people call them Lumineers. However Durathins are much more lifelike than Lumineers. They cover your existing teeth with a thin shell of porcelain to create the smile you've been dreaming of. 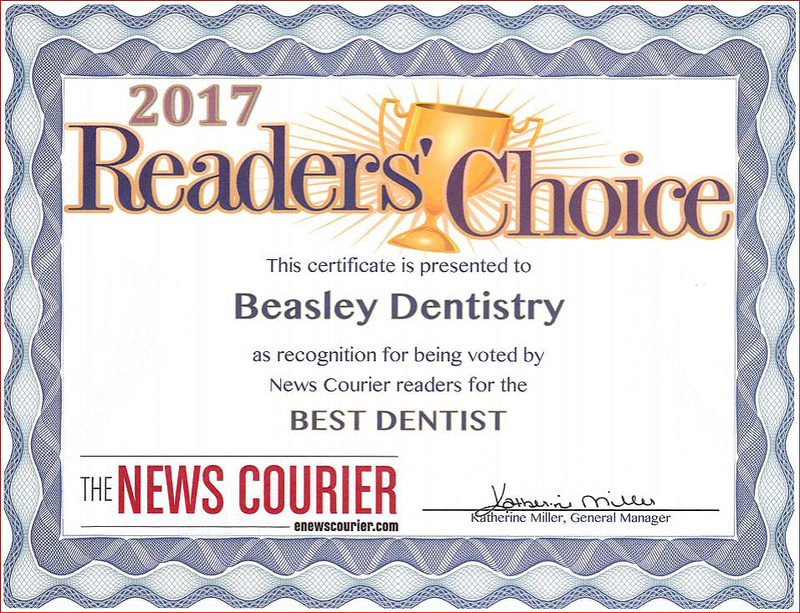 Dr. Beasley has the artistic talent and over 18 years of experience to create a beautiful smile for you. Tooth colored composite fillings are not only more attractive than silver amalgam, but they strengthen your teeth, are not temperature sensitive and they contain no mercury.